Member's financial records may be disclosed if you receive the following __________. Credit Unions cannot notify a member that a request for information has been submitted when requested by __________. Credit union member's who believe their right's have been violated have how long to file a lawsuite to enforce their rights ________. Credit unions should retain all records of information requests for how long? A judicial subpoena is similar to an administrative subpoena except it is issued by a ___________. 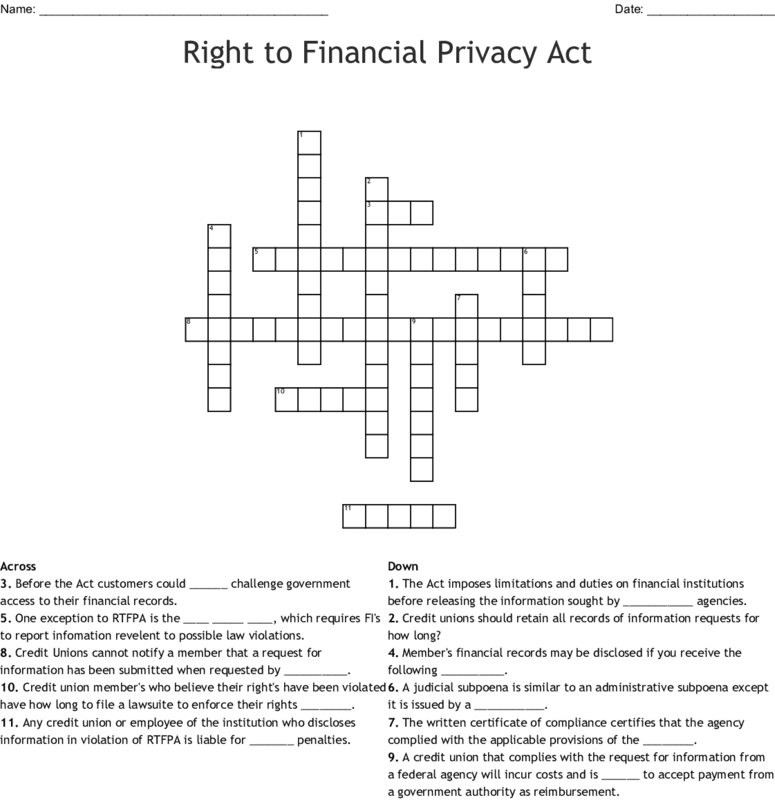 Before the Act customers could ______ challenge government access to their financial records. The Act imposes limitations and duties on financial institutions before releasing the information sought by ___________ agencies. One exception to RTFPA is the ____ _____ ____, which requires FI's to report infomation revelent to possible law violations. A credit union that complies with the request for information from a federal agency will incur costs and is ______ to accept payment from a government authority as reimbursement. The written certificate of compliance certifies that the agency complied with the applicable provisions of the ________. Any credit union or employee of the institution who discloses information in violation of RTFPA is liable for _______ penalties.